Please fill our the refund form below. *The refund process may take up to 14 business days. #Plans How can I change my lesson plan? Regulations for lesson plans will change starting April 1st, 2019. Please take a close look at the updates! you can use your extension coupon to extend your plan date. You will able to download your extension coupon 7 days before the last date of your lesson plan. However, the unused tickets during the extended period(7 days) cannot be refunded. All lesson plans will be given a minimum number of tickets you must use. Q: What happens if I wasn’t able to reach the minimum number of lessons for the month?? A: Don’t worry, you will still be able to use the unused tickets during the next plan term. However, the unused tickets cannot be refunded. You are free to use more than the minimum number of tickets every month! Thank you for having lessons with us and we will always strive to offer better services to all our students. This Policy will be effective on the 1st day of Jan, 2017 and, in case of modification thereof, the Company will make public notice of it through posting it on the bulletin board of Company's website or individual notice through sending mails, fax or e-mails). * The privacy plicy in Korean is the only legal terms of the Company. English one is for reference. 1. The lawsuits related to disputes between the company and the users shall be filed by the court of competent jurisdiction of the Civil Procedure Act of the Republic of Korea. 2. The laws of the Republic of Korea apply to any dispute arising between the company and the users. These Terms of Service apply to the services (hereinafter “services”) including the digital contents (hereinafter “contents”) provided by the website tutoring.kr (hereinafter “website”) and applications (hereinafter “app”) operated by Tutoring Co., Ltd. (hereinafter “company” or “Tutoring”) the rights, duties, and responsibilities of the company and its users. 1) User: An user is a member or non-member who uses the service by accessing the website or app provided by the company in accordance with these terms. 2) Member: A member is a person who has provided personal information to the company to register and is able to continuously use the contents and services provided by the company. 3) Non-member A non-member is a person who uses the contents and services provided by the company without registering as a member. 4) Tutor: A tutor is a person who provides language education to members by using the contents and services provided by the company through the company’s website or app. 6) Lesson: A lesson is an educational service provided by a tutor to a user through the company’s website or app. 8) Package Product: A package product is one of the products that the company provides. It means that a member can purchase the digital device and lesson ticket together. 9) Points Points are the value that can be earned and used to purchase course tickets or other products through the company website or app. The company publish the contents of the Terms of Service, names of the representative and the business, the address of the business site (including the address where consumer's complaints can be processed), phone number, e-mail address, business registration number, telecommunication commerce report number, person in charge of personal information, and etc. on the front page of the website or app. However, the contents of the agreement can be made available to the users through the connection screen. The company may amend this agreement to the extent that it does not violate the regulations on Consumer Protection in Electronic Commerce, the laws on the regulation of terms of service, the Contents Industry Promotion Act, and other related laws or business practices. In case of amendment of the agreement, the company shall notify the members of the date of application and reasons for revision by posting on the website, the service screen, or the connection screen of the website from 7 days prior to the effective date. However, if the revised content is disadvantageous to the members or if the revision is significant, the members will be informed in the same manner as the paragraph until 30 days prior to the application date and notified to the members by e-mail or text message. If a member does not show his / her intention to refuse within 7 days after the notification of the changed conditions (within 30 days of the change if the changed contents are disadvantageous to the member or significant), the member consents to the changed conditions. If a member disagrees with the revised terms, the company or member may terminate the service contract. Things and interpretations that are not stated in this agreement follow general practices, or the Contents Industry Promotion Act enacted by the government, the Consumer Protection Acts in electronic commerce, the laws on the regulation of terms of service, and the Contents User Protection Guide and related laws. 1) The company mediates that the tutors teach the members through the company's app or website. 2) The company provides services to ensure that the lessons between the tutors and the members go smooth. 3) The company supports incidental duties related to the above. 2. The company may, if necessary, entrust a portion of the services to a third party such as an affiliated company in contract. 1. The company may temporarily limit or suspend service, if the company can not provide normal service in situations like natural disasters or national emergencies, and notify tutors the reason and duration of the suspension before or after the event. 2. The company may suspend service after notifying one week before the suspension of service in case of maintenance, replacement, and communication problems of the company's computer equipment facilities. The company is not accountable for the members who aren’t able to acknowledge the notification during the period. In case of a good reason, the advanced notification period stated above may be omitted or reduced. However, if there’s an unavoidable reason that the company can not notify in advance, the company can notify after the event. 3. The company has a comprehensive right to determine, change, maintain, and discontinue the services and its contents. The company may change or discontinue all or some services if there are good reasons such as abolishment, merger, division, deterioration of profit of service, and maintenance of service. In such cases, the company will notify the users and reward them according to the conditions set by the company only for the unused paid tickets. 4. The company may run scheduled maintenances, if there’s needs for the services usage. The maintenance time is according to the notification on the service provision screen. 1. Registration is made by the user agreeing to the contents of the Terms of Service and registering for the membership, and then the company accepts the application. If an user applies for the membership, the user is deemed to have agreed to the Terms of Service of the company. The company may not allow the user to join, if one of the followings applies. 3. In principle, the company accepts registration in most cases. However, the company may suspend or refuse the acceptance of the application if it can not afford the facilities related to the service, the technical or business problems, or the other company deems necessary. 4. The company shall notify the applicant of any reservation or refusal to apply for membership. However, if the company can not notify the applicant without intention or negligence, the company shall not notify. 5. The membership contract is in act when the approval of the company reaches the member. 1. The company shall obtain the consent of a legal representative (hereinafter “legal guardian”), such as a parent, before accepting a membership application for a user under the age of 14 (hereinafter “child”). However, if the child can not obtain the consent of his/her legal guardian, the company can refuse the child's application for his/her membership. 2. The company may request minimum amount of information of the legal guardian, including the name of the legal representative to obtain the consent of the legal representative, for the child applying for his/her membership. 3. The legal guardian of the child may request for the reading, correction, or renewal of the child's personal information, or withdraw his / her consent to the membership. If the legal representative withdraws his / her consent, the company shall take necessary measures such as destruction of personal information of the child and the legal representative. 1. Member can view and modify his/her personal information on the personal information management screen anytime. 2. If a member changes any of the items listed at the time of application, he/she shall notify the company by e-mail, text message, or other methods about the changes. 3. The company is not liable for any disadvantage caused by the failure of the member to modify in accordance with paragraph 2, or not notifying the company of the changes. 3. In case of recognition of the theft of his/her account information and password or a third party user of the account, the member must notify the company and follow the company’s instructions. 4. The company is not liable for any disadvantages caused by not notifying the company or failure follow the company's instructions after notifying the company. 2. In case of the company notifying every member, the company may post it on the front screen of the website or a pop-up screen for more than 7 days to substitute the notice in paragraph 1. However, the company must make notice set by paragraph 1 for important matters regarding the members or amendments of the Terms of Service in accordance with Article 3. Member can always request to withdraw his/her membership. The company shall process the withdrawal request quickly if the member requests to withdraw. 8) Disclosing or posting on the company's site any information that is contrary to the obscenity or violent words, images, sound, and etc. If a member whose membership has been limited or suspended has repeated the act prohibited by each items of Paragraph 2, or if there’s no correction of behavior within 7 days after a notification, the member may lose his/her membership. In case of suspending a membership in accordance with Paragraph 3, the company notifies the member of the facts and reasons. However, in case of the member justifying his/her action within 15 days since the notification, the company shall immediately resume the membership if the contents are justified. the member acquires the right to purchase the applied content. If the applied content is a course content, then the member obtains the right to take courses. The contents such as tickets are based on the price announced on the company's website and app by the company's designated rate system. However, foreign users may have some differences depending on the exchange rate, and the company can adjust some of the plan without prior notice in order to meet the standard of the rate plan due to a sudden exchange rate change. 1 time course tickets are classified into 10 min, 15 min, 20 min, 30 min, and 40 min. 2. The coupons issued by the company can be used prior to the expiration date, and they can’t be exchanged to cash. 2. The right to withdraw the subscription under Paragraph 1 can not be exercised, if it falls under any of the following subparagraph: However, the company shall notify the fact that a member can not withdraw the subscription in order to exclude the right to withdraw the subscription from subparagraph 2 to subparagraph 4 on the contents or anywhere that members or users can see easily. Or, the company shall make the limited or temporary use of the contents possible, so cancellation doesn’t get disturbed. 3. Despite Paragraph 1 and 2, if there is any reason falling under any of the following subparagraph, the member shall cancel the subscription within 3 months from the date that the member was able to use the content, or 30 days from the date that the member was able to know the fact. 4. Member may withdraw the subscription under the provisions of Paragraph 1 or 3 by telephone, text message, e-mail, fax, and etc. 5. If a member exercises the right of withdrawal in document (including electronic documents) under Paragraph 1 or Paragraph 3, it shall take effect on the date of dispatching the written statement of the intention. 6. The company shall reply to the member upon receipt of the notice of cancellation of the subscription without delay. 2. For a member to release or terminate the content purchase agreement under subparagraph 1 or 2 of Paragraph 1, the member shall establish a considerable period of time and request the company to make the usage of the content possible or to deliver the content without any defect. However, this is not the case if the member can not achieve the purpose of the contract without the content being delivered at that time, or if the company specifies that the content will not be delivered in advance. 1. The company may release or terminate the content purchase agreement if the misbehavior of a member who violated these Terms of Service is not corrected within 30 days, even though the company has requested the member to correct the misbehavior. 2. The termination/release of this Article shall take effect when the notice of intention is received by the member in accordance with the notification method set in these Terms of Service. 3. Member may appeal the termination/release and an usuage restriction. If the company's appeal is legitimate, the company immediately takes the necessary measures to ensure that the member has access to the content. Member loses his/her course rights to the service upon successful cancellation of the course ticket. If a member damages the company or a third party including a tutor while the course is being held, the member is not exempted from liability even if the ticket is canceled. 2) In case of not following the service guideline of the company or the tutor. If the company suspends or cancels the user's class due to the reasons stated in Paragraph 3, the company does not refund the course ticket that is already used. 1. The company will process the refund in the way that the member has paid for the ticket. For example, if a member paid with a bank transfer, the member will be refunded through the same bank account. If a member paid with a card, he or she will be refunded through the same card partially or wholesomely. Same applies for Paypal. However, if the company can not refund the money in the same way as the payment, it will notify the member in advance, so the member can be refunded in a different way. 2. In case of a refund due to withdrawal, cancellation, and termination, the company will complete the refund within 3 business days from later of the date of the notice or the date on which the content is returned If a refund is made through the payment agency, the refund date may be delayed because of circumstances of the payment company. The company will not be liable for the delay of the refund due to the payment company, and will process it according to the terms of the payment company agreed by the member. 3. Member is obliged to return all contents that can be returned in the case of withdrawal, cancellation, and termination of the purchase contract, and if the contents are not returned, only the amount of the contents that are returned will be refunded. 4. In case of contents refunds, fees for payment methods such as bank, card company, and Paypal may be excluded. 5. The company can reject refunds in following situations. 2.. In the event that a member voluntarily terminates the usage contract or if the company terminates the ticket usage contract due to the user's liability, the refund will be processed according to the following provisions. 1) Before 1/2 of the total course period after purchasing the course ticket: Total payment amount - Payment amount X (used ticket / unused ticket) - Fee (10% of the payment amount). 2) After the purchase of the ticket, the member will not be able to return it after the half of the whole course has passed. 3. In case of the member has to terminate the ticket usage contract due to the liability of the company in accordance with Article 17, the company shall refund the following amount based on the time when the reason occurred. 4. If a member does not indicate his / her intention to return the tuition and doesn’t participate the course without a good reason, the period of absence is counted as the teaching time, and the refund will be based on the time of the refund request. 1. In case of periodic payment products that are regularly paid every month, if the member is terminated, the automatic payment will not be made anymore on the upcoming payment date. 2. If a member applies for termination of automatic payment according to Paragraph 1, a ticket that has already expired can not be refunded. For a member who wishes to refund the remaining ticket which the automatic payment was last made, the refund for the last periodic payment will be processed in accordance with the previous Article’s refund policy. 1. If a member wants to cancel the purchase and didn’t open the device, the refund can be approved within a week after the purchase If the member unpacked the device, the device can not be refunded. Only the remaining tickets will be refunded. 2. If there is a problem with the device of the package product, it follows the policies of the companies that produced each device. 1. The course ticket can be changed within the same language only. 2. The rate of change that is applied in the event of change is determined by the rate at which the member has paid the ticket. 1. User and member can participate in free trial classes through separate regulations such as coupons and events set by the company. 3. The company may restrict participation of a user, if the user decides to create multiple accounts or inappropriate accounts to participate in free classes. 1. Member can obtain a certain amount of free points through marketing by conducted by the company, purchasing tickets, and etc. 2. The free points are distributed after completion of certain acts like purchasing certain amount of products, taking a survey, and etc. 3. Member can use the free points they receive when purchasing a course from the website or app, and the company may announce the rate of free point usage compared to cash usage on the home page. 4. There is a validity period for the free points, which will be notified to the user in advance. The free points disappear after the expiration date. 6. For foreign users, 1000 points are like 1 USD, but the company may change the ratio in case of valid reasons such as a sudden exchange rate change. 7. Members can use free points when purchasing tickets and items offered by the company, but in case of refund, the company will only process the paid portion of the refund. 1. Members can choose a tutor that is available in real-time at any time, or can reserve a tutor. 2. If a member wants to take a class by making a reservation, he or she can schedule the class by deducting the amount from his/her subscription. At this time, if the lesson does not occur due to the absence of the member, the company will not refund or reimburse the student for pre-deducted amount. 3. After a member reserves a class, the member can cancel the class reservation only for the time specified by the company separately. 4. If the lesson does not occur due to the absence of the tutor, the course ticket is reimbursed before 24:00of the same date. 5. Registration methods of courses and reservations that are not listed above follow a separate page announce by the company. If there is any conflict with these terms on the separate page, the contents of this page take precedence. 1. The company shall not engage in conduct that is prohibited by laws, regulations, or the rules of the public order and morals. The company shall endeavor to provide consistent and reliable contents, including classes, as provided in these Terms of Service. 2. The company must have a security system to protect the users' personal information so that the users can use the service safely. 3. The company does not send out commercial e-mails for profits that users do not want, unless the user agrees to receive commercial e-mails. 1. User must not do following activities. 2. Member may not take any action described below when using the service during class or through the chat window within the app. 3. The Company may determine whether a member has engaged in any of the prohibited acts specified in the preceding paragraphs, and decide to whether suspend or terminate the member. 1. The company owns copyrights and other intellectual property rights for the work created by the company such as contents posted on the app or website. 3. All copyrights and ownership of images, photographs, voice recordings, trademarks, logos, texts, and services all belong to the company. User can not violate the copyrights of the company and can not upload to print, magazine, or website. Users can not distribute these to third parties. 1. The company shall not be liable for any damages incurred by the user in case of failure to provide the service due to unavoidable circumstances like natural disasters, unless there are intentional and grave errors. 3. The company shall be exempted from liability if the telecommunications carrier ceases to provide telecommunication services or fails to provide regular services. 4. The company shall be exempted from liability for damages caused by unavoidable reasons such as maintenance, replacement, periodic inspection, and construction of service facilities, unless there is an intention or negligence of the company. 5. The company shall not be liable for the accuracy and trustworthiness of contents of information, data, and facts posted by users, tutors, third parties on the board. 6. The company shall not be liable for any disputes between users, between users and tutors, or between users and third parties. 1. The company shall establish and operate the damage compensation mechanism in accordance with the relevant laws, regulations, and the internal policies of the company to reflect the legitimate opinions and complaints posed by the users and to compensate the damage. 2. The company takes precedence over complaints and comments submitted by users. However, if it is difficult to process promptly, the user will be notified immediately of the reason and the processing schedule. 3. If there is an application for remedy of an user regarding the dispute between the company and the user, the company may follow a dispute resolution body. The lawsuits related to disputes between the company and the users shall be filed by the court of competent jurisdiction of the Civil Procedure Act of the Republic of Korea. The laws of the Republic of Korea apply to any dispute arising between the company and the users. Please report your issue through the button below. We will try to figure out the problem as soon as possible. 2. Check to see if the app is updated. - Make sure to have a strong and steady network connected. #Errors How much of data does this application require? Normally, it takes about 3 MB per minute when using this application. Using wifi is highly recommended. *Please make sure your wifi signal is strong and stable. 1. The company publish the contents of the Terms of Service, names of the representative and the business, the address of the business site (including the address where consumer's complaints can be processed), phone number, e-mail address, business registration number, telecommunication commerce report number, person in charge of personal information, and etc. on the front page of the website or app. However, the contents of the agreement can be made available to the users through the connection screen. 2. The company may amend this agreement to the extent that it does not violate the regulations on Consumer Protection in Electronic Commerce, the laws on the regulation of terms of service, the Contents Industry Promotion Act, and other related laws or business practices. 3. In case of amendment of the agreement, the company shall notify the members of the date of application and reasons for revision by posting on the website, the service screen, or the connection screen of the website from 7 days prior to the effective date. However, if the revised content is disadvantageous to the members or if the revision is significant, the members will be informed in the same manner as the paragraph until 30 days prior to the application date and notified to the members by e-mail or text message. 4. If a member does not show his / her intention to refuse within 7 days after the notification of the changed conditions (within 30 days of the change if the changed contents are disadvantageous to the member or significant), the member consents to the changed conditions. 5. If a member disagrees with the revised terms, the company or member may terminate the service contract. 2. Things and interpretations that are not stated in this agreement follow general practices, or the Contents Industry Promotion Act enacted by the government, the Consumer Protection Acts in electronic commerce, the laws on the regulation of terms of service, and the Contents User Protection Guide and related laws. 2. The company may not allow the user to join, if one of the followings applies. 1. Member can always request to withdraw his/her membership. The company shall process the withdrawal request quickly if the member requests to withdraw. 3. If a member whose membership has been limited or suspended has repeated the act prohibited by each items of Paragraph 2, or if there’s no correction of behavior within 7 days after a notification, the member may lose his/her membership. 4. In case of suspending a membership in accordance with Paragraph 3, the company notifies the member of the facts and reasons. However, in case of the member justifying his/her action within 15 days since the notification, the company shall immediately resume the membership if the contents are justified. 2. the member acquires the right to purchase the applied content. If the applied content is a course content, then the member obtains the right to take courses. 3. The contents such as tickets are based on the price announced on the company's website and app by the company's designated rate system. However, foreign users may have some differences depending on the exchange rate, and the company can adjust some of the plan without prior notice in order to meet the standard of the rate plan due to a sudden exchange rate change. 4. 1 time course tickets are classified into 10 min, 15 min, 20 min, 30 min, and 40 min. 1. Member loses his/her course rights to the service upon successful cancellation of the course ticket. 2. If a member damages the company or a third party including a tutor while the course is being held, the member is not exempted from liability even if the ticket is canceled. 4. If the company suspends or cancels the user's class due to the reasons stated in Paragraph 3, the company does not refund the course ticket that is already used. You can get a notification when your tutor logs on for the appointed class. #How to use How do I use the 'appointment' booking? 1. Select date of appointment. 2. Choose the time of appointment. 4. Choose tutor available at the time of your choice. *One lesson pass will be deducted when booking an appointment, so please be aware of your appointment time when booking! *If it's a student no-show, lesson pass will not be added back to your account. #How to use My tutor isn't online on the appointment time. The lesson ticket used for making the appointment will be restored to your account at midnight KST. Also, if the tutor doens't show up for more than 3 appointments, that specific tutor won't be able to open appointment slots for 2 weeks. We appologize once again for having you encountering such inconvinience. Don't worry, you can extend the period to have your free lesson. *Can't be used for more than once. #Tutor What are the differences between Global and Native tutors? Global tutors speak English as good as Native speaker and are educated with at least a bachelor's degree. Global tutors tend to teach with a more formal method while Native tutors focus on teaching how to speak English more fluently. Other than that, they are all awesome tutors and can teach English very well. You can learn from both tutors by purchasing different plans. #Tutor How can become a tutor? #Errors The class suddenly cut-off! 열심히 수업하시다가도 간혹 수업 중에 끊김 현상이나 음질 저하현상이 생기는 경우를 호소하시는 수강생분들이 계십니다. * 네트워크 이슈로 3분 미만에서 끊김 시수업회수가 차감되지 않습니다. * 수업 중간에 종료 시에도 잔여분이 남아있어, 사용한 회수는 그날 안에만 사용하시면됩니다. 쾌적한 수업환경 유지를 위해 아래 안내 드립니다. Q. 저는 실내 Wi-fi인데도 끊김이 발생했어요! 우선 수업 이용에 불편을 드려 죄송합니다. 혹시, 실내 Wifi를 사용 중 이시더라도 공공 무료 Wifi가 자동 연결 해제되는것은 아닐지 확인 부탁드립니다. 자동 연결 해제는 설정 > 해당 Wifi목록을 2초이상 클릭 > 자동으로 다시 연결 해제를 클릭하시면 됩니다. 또는 LTE연결이 자동으로 될때에도 끊김이 발생할 수 있으니 주의해주세요. Q. 스피커 폰의 소리가 너무 작아요! 우선 수업에서는 이어폰이나 헤드셋 착용을 권장드립니다.마이크 또는 이어폰 품질 이상일때 수업이 원활히 진행되지 않을 수 있습니다. 앱 내 품질 및 음질 향상은 튜터링 개발팀이 항상 최우선으로 모니터링하고 개선의 노력을 하고 있습니다. 감사합니다. It's recommended to wear earphones during the class. If there are problems with your mic or earphones, there might be problems during the lesson. Sorry for any inconviniences caused. Please check if the wifi wasn't automatically disconnected if you are in a public place. #Tutor How can I find the tutors who taught me before? 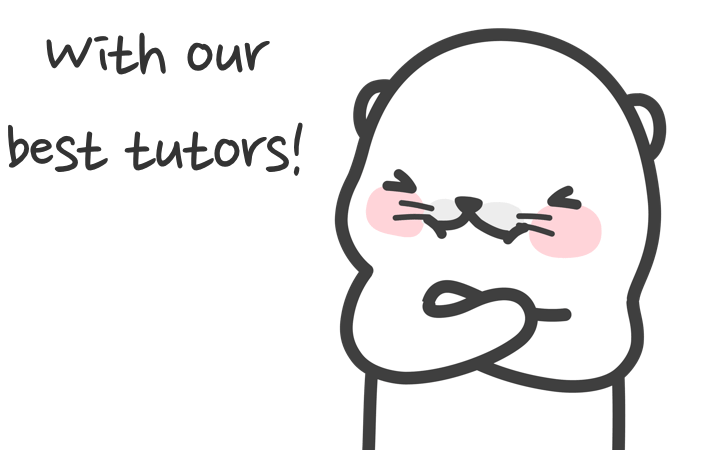 Please check your tutors who you have classes with at "My Tutor" menu. *Please toggle the heart button at the right upper side if you want to unhighlight them. #How to use How can I use my coupon code? Click the icon with 3 dots, then type in your coupon code. #Buy&Refund Do I have to use credit card only? For now, you can use credit card, debit card, and account transfer. Also, automatic monthly purchase can be done with both credit card and debit card. #Errors [iPhone] My tutor cannot hear my voice. For iPhone users, if you don't allow the microphone, this issue may occur. On the iPhone Settings, please allow the TUTORING app (scroll to the bottom)> to allow the microphone. You can change the settings in the screen below! #How to use How are the lessons conducted on Tutoring? Tutoring is a voice-based English conversation application. 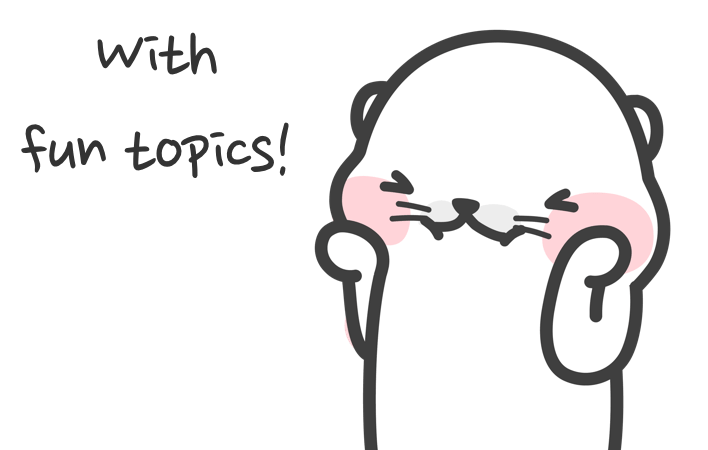 You will see your topic cards with your tutor, and you will be speaking with your voice. You can also chat during lessons. You can also schedule classes with your tutors and ask questions about things you do not know. Please click the link below for further explanation! #Level Test When can I see the result for level test? If you have not received a result, please ask our CS. #Errors Can I record my lesson? We are currently working super hard on developing a recording feature. #Buy&Refund Can I use a foreign card? Yes, only if they are Visa, Master and JCB. Tutors in Tutoring are all experienced with years of teaching and education. Tutors must go through application and interview process followed by practice lessons. Only 1 out of 10 applicants become a tutor. #Errors Is Tutoring really cheaper to use than phone English? We offer our service at 50% of normal phone English. Please visit here to see the price comparison. You can use Points as cash when purchasing lesson plans. Points are given when purchasing or inviting friends. Sometimes, we give out points during events. #How to use Until when can I use Tutoring? #Plans A leftover lesson pass disappeared. Partially used lesson pass disappear at midnight of the day. #Errors Can I have more than 1 lesson in a day? We can find your account with your payment information. Currently, the Tutoring application does not support bluetooth earphones. We are currently working on the matter and thank you for your understanding. #Level Test How do I take the level test? Please go to https://goo.gl/NPeKSm to learn how to do a level test. *Please find the level test tutor at the time of level test and call the tutor. #Buy&Refund I would like to pay in advance for my plan. Please contact our CS. We will be happy to assist you. Please submit a form below. Your personal informations and all data will be deleted. The process will take less than 24 hours. #How to use I would like to extend the lesson time. If you wish to extend your class time, please press the 'extend class' button which will pop up 3 minutes prior to the end of class. However, when the tutor has requested for 'call back', class cannot be extrended. #Buy&Refund Can we use points without limits? 1. For first time purchase: 10% of purchase amount, up to 20000 points may be used. 2. For re-purchase: 15% of purchase amount, up to 22500 points may be used. #How to use The tutor didn't give me a feedback after class. please contact our Customer Service and we will get in touch with the tutor. Also, check our system for systematic error. #Documents Can I receive a receipt or a proof of attendance? #Buy&Refund My payment isn't going through! Please contact our Customer Service center for further help. #How to use I'm a newcomer but I haven't received the 'first class coupon'. The 'first class coupon' is given once per mobile device. Please check if you have already registered with the same mobile device before. However, if it's your first time registering with the mobile device and haven't received the coupon, please contact our Customer Service. #Buy&Refund What is the recurring billing? With the recurring billing feature, you can make monthly payments automatically for year package. Only iOS supports this feature. #Buy&Refund Can I use the coupon and points at once when purchasing lessons? Usage of coupon and points with one purchase is not allowed. Only usage of coupon OR points may be applied for the purchasing of lessons.